Nothing makes you stop in your tracks in a harried evening like the sight of a Golgappewala or Panipuriwala or Phuchkawala - The list goes on…. The very thought of a Golgappa can make you salivate like you did the first time to had one. Paper Boat brings to you the same Golgappe Ka Pani minus the aftermath of the gastrointestinal horrors that you might or might not have faced. Paper Boat’s Golgappe ka Pani has tamarind, lemon juice and a hint of red chillies. The tamarind makes it an awesome immunity booster, while the lemon juice makes it a potent digestive aid. All Paper Boat variants are without any preservatives, colour and carbonation. Priced at Rs 30 per pack, this delightful mango drink is available across Mumbai, Delhi NCR, Pune, Hyderabad, Kolkata, Bangalore, Chennai and Lucknow. Paper Boat Aamras is also available onshoppaperboat.com. 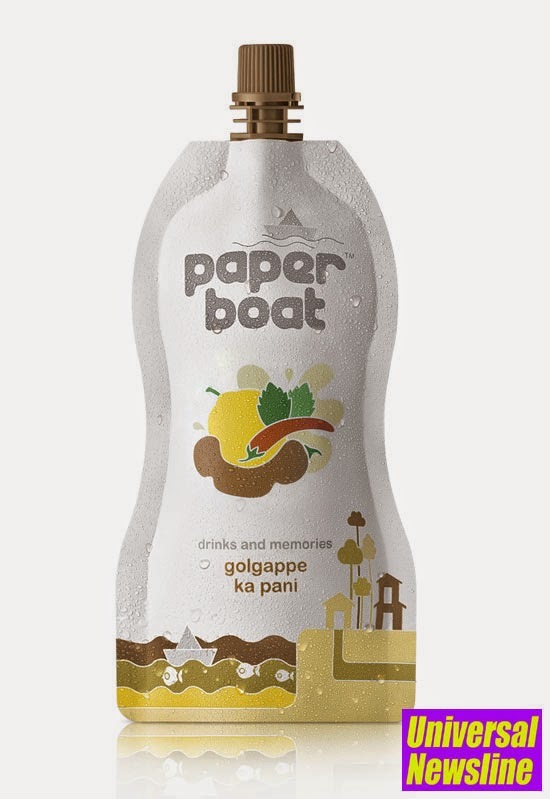 Paper Boat is the fast growing brand of Indian ethnic drinks from Hector Beverages. The company is led by seasoned beverage industry professionals and have offered consumers a brand which is creative, innovative and quirky and offers a classic Indian flavour that transports the consumers back in time. All Paper Boat variants are without any preservatives, colour and carbonation. Currently available in seven variants: Aamras, Jaljeera, Jamun Kalakhatta, Aam Pana, Kokum, Imli Ka Amlana and Golgappe Ka Paani across Mumbai, Delhi NCR, Pune, Hyderabad, Kolkata, Bangalore, Chennai and Lucknow. Paper Boat is also available online at shoppaperboat.com.